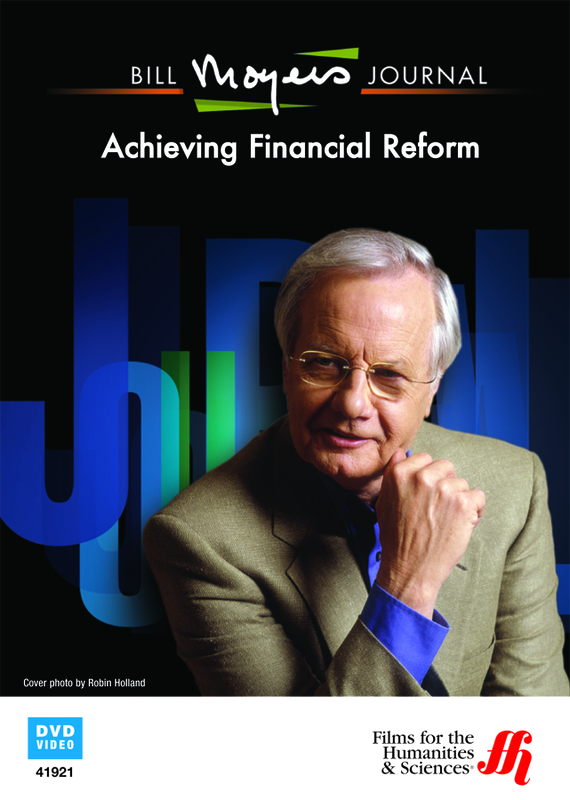 This episode of the Bill Moyers Journal presents two economic experts, Simon Johnson and James Kwak, who inform the viewing audience on why current attempts to control the financial industry will not work. Journalist Bill Moyers has made a career out of asking guests the tough questions about issues affecting society. This episode is no different. Here, Moyers considers the issue of what led to the late-20th century global financial crisis. Where was the government while Wall Street played with the earnings of hardworking Americans? Can the country do anything to prevent the same thing from happening again? Moyers and his guests, Simon Johnson and James Kwak, get to the heart of the matter of what people need to do to achieve reform. The two authors have written notable books about the financial industry. Here, Kwak explains why politicians are not actually reforming banking, despite claims made in their sound bites. The problem is the size of the institutions. Once a company is “too big too fail,” there is almost nothing it can do wrong to warrant any serious regulatory repercussions. Ironically, the guests conclude, the failure of many banks during the crisis led to the accumulation of their assets by those that survived. The result is banks that grew larger and stronger during the Recession, notes Johnson. Kwak and Johnson call for a rethinking of what Wall Street should look like. Investment bankers may not be the experts the world once thought them to be, the guests put forth. This is an episode for anyone who wants to think outside the norm for ways to protect the country against another serious economic meltdown. Bill Moyers has again provided the audience with information needed to make decisions about the future.